Rajya Sabha today passed The Compensatory Afforestation Fund Bill, 2016. The Bill had earlier been passed by Lok Sabha in May 2016. Replying to the discussion on the Bill today, Minister of State (Independent Charge) of Environment, Forest and Climate Change, Shri Anil Madhav Dave, said that it is a good bill and the money is for the country. He said that the Parliamentary process has now been completed. Shri Dave assured the House that if there are any concerns with the rules on consultation with Gram Sabhas in the Bill, the same will be reviewed after one year. MPs from various political parties participated in the discussion on the Bill. The passing of the Bill has ended the long era of ad-hocism and will help the Centre and State Governments to utilise these amounts in a planned manner. It will facilitate make available more than Rs. 6,000 crores per annum to the States/UTs for conservation, protection, improvement and expansion of forest and wildlife resources of the country. Availability of these amounts will not only help the States/UTs and local communities to ensure better management of their forest resources but will also result in creation of more than 15 crores man-days of direct employment. A major part of these amounts will be used to restock and improve quality of degraded forests, which constitutes more than 40 % of the total forest cover of the country. Rules to be framed by the Central Government in consultation with the States/ UTs will provides for use of native species in afforestation activities to be undertaken from these funds. Majority of the employment will be generated in tribal dominated and backward areas of the country. Apart from creation of direct employment, utilisation of these amounts will result in increased availability of timber and various other non-timber forest products, and will thus help in improvement of the overall living standards of the forest dependent communities. The Bill provides for establishment of a permanent institutional framework at the Central at each State and Union territory to ensure utilization of these funds in an expeditious and transparent manner. The Bill also seeks to transfer these amounts to dedicated, non-lapsable interest bearing funds under public account of the Union of India and each State so as to bring these funds within the overall oversight and control of the Parliament and the State legislatures, without impairing easy availability of these funds to utilise the same for the purpose for which it has been realised. The Bill also seeks to provide for constitution of a multi-disciplinary Monitoring Group to monitor activities undertaken from these funds. The Bill also provides for annual audit of the accounts by the C&AG. The Bill provides for transfer of 90 % of the accumulated amounts, which presently is of the order of Rs. 40,000 crorers (excluding about Rs. 2000 crorers of interest already accrued on amounts presently being kept as FDs.) to the States for creation and maintenance of compensatory afforestation and execution of other activities for conservation, protection, improvement and expansion of forest and wildlife resources of the country. All fresh amounts to be realised by the States in lieu of forest land to be diverted for non-forest purpose will be deposited directly into the funds to be created under public account of the respective State. State-wise details of funds likely to be made available to each State/UT is enclosed. The remaining 10 % Amounts to be retained at the National level will be used for monitoring and evaluation of activities to be undertaken by the States/UTs and Central Government from these funds and to provide, research and technical support to the States so as to ensure that these amounts are used in the technically best possible manner. Central Government while according prior approval under the Forest (Conservation) Act, 1980 for diversion of forest land for non-forest purpose stipulates conditions to the effect that the State Government shall realize funds from the user agency for compensatory afforestation, catchment area treatment plan, wildlife management plan etc. to mitigate impact of diversion of forest land. In most of the States, funds received from the user-agencies were deposited in consolidated fund as revenue receipts which were made available to the Forest Department through budgetary provisions. The Central Government in exercise of powers conferred under Section 3 (3) of the Environment (Protection) Act, 1986 constituted Compensatory Afforestation Fund Management and Planning Authority (CAMPA). However, the CAMPA could not be operationalized. 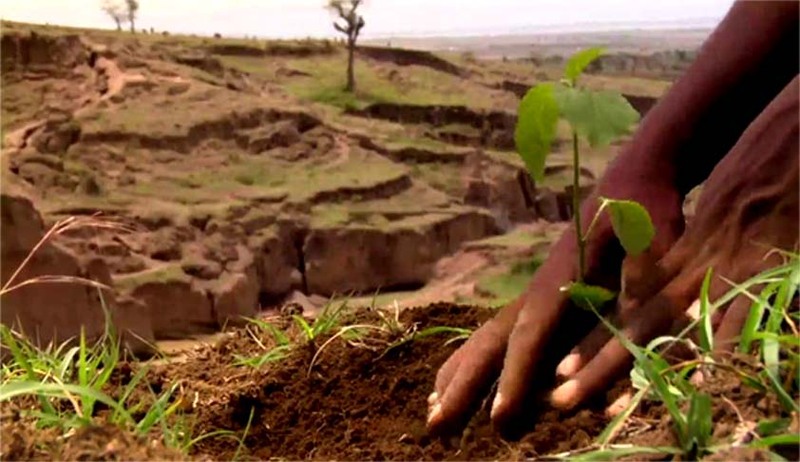 In 2008 Central Government formulated the Compensatory Afforestation Fund Bill, 2008. The Bill was passed by the Lok Sabha on 23rd December, 2008. However, the Bill could not be taken up for discussion in Rajya Sabha. On dissolution of the 14th Lok Sabha, the Bill lapsed. C & AG in his D.O. letter dated March, 4, 2013 requested the then Finance Minister to examine the entire issue of maintaining a fund outside Government Accounting System. The C & AG in his said D.O. letter also suggested to move the Supreme Court for review of its decision with regard to Ad-hoc CAMPA fund so that it can be transferred into Public Account of India. In compliance of the suggestions of the C&AG, and in exercise of powers conferred under section 3 (3) of the Environment (Protection) Act, 1986, the MoEF formulated a draft CAMPA Order, 2014 for establishment of separate funds under public account of Union of India and each State and constitution of authorities at Union of India and each State for management of these funds and placed the same before the Supreme Court for approval. The approval of the Supreme Court to the draft Order is still awaited. To ensure safety, security and expeditious & efficient utilization of accumulated funds which are presently managed by the ad-hoc CAMPA, consisting of only three officials and one representative of the CEC, without having any full time regular staff and administrative support; and to ensure harmonization between the original CAMPA notification dated 23rd April 2004 and the State CAMPA Guidelines, as approved by the Supreme Court in July 2007, and also to provide statutory back up to the State CAMPAs, the Central Government introduced the Compensatory Afforestation Fund, Bill, 2015 in Lok Sabha. On 13th May, 2015 Lok Sabha referred the Bill to the Department Related Parliamentary Standing Committee on Science & Technology, Environment & Forests. The Committee held extensive consultations with the States/UTs and various other stakeholders. The committee submitted its report containing 26 recommendations. The Central Government accepted 20 recommendations. Based on recommendations of the Committee and further examination of the Bill, the Central Government moved 49 official amendments.